The poll violence in West Bengal has now reached unimaginable levels. In a shameful act of barbarity, TMC goons were seen brutally thrashing BJP workers, including women, who were trying to help their party candidates file their nominations for upcoming Panchayat elections. He is critically injured admitted in Diamond Harbour District Hospital. Mainstream media has largely ignored the mass violence which has become a regular feature of elections in West Bengal – the legacy of voter and opposition intimidation was first created by CPM which ruled the state with an iron fist for 34 long years, and has been taken to never-seen before levels by Mamata Banerjee’s TMC. 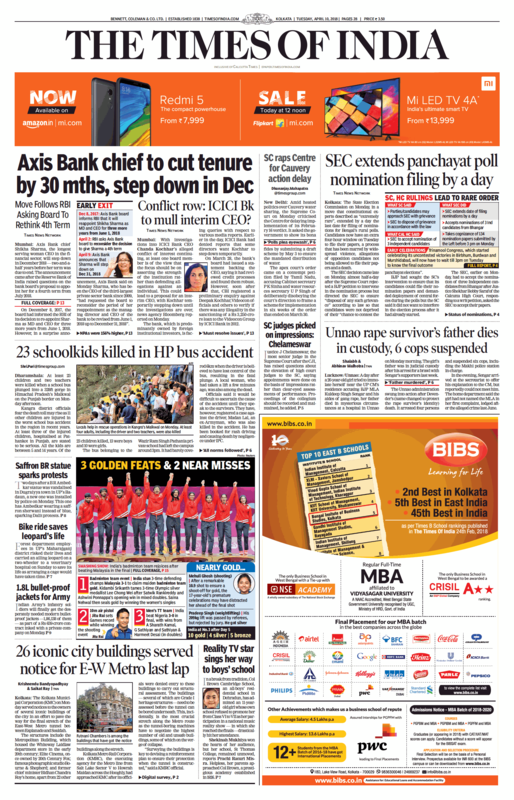 The TOI report says that amidst “allegations” of opposition candidates being prevented from filing nominations, the deadline for nomination filing has been extended by a day in an “extremely rare” move. It talks about the Supreme Court’s dismissal of a petition by BJP asking the Court to intervene in nomination process & requesting deployment of Central forces to ensure free & fair elections – SC refused to intervene as “election process was ongoing” and asked State Election Commission to look into all “grievances”. Reading this, the casual reader will come away with the impression that it is just routine politics, the report gives no sense of the terror unleashed by TMC cadre across the length & breadth of Bengal. 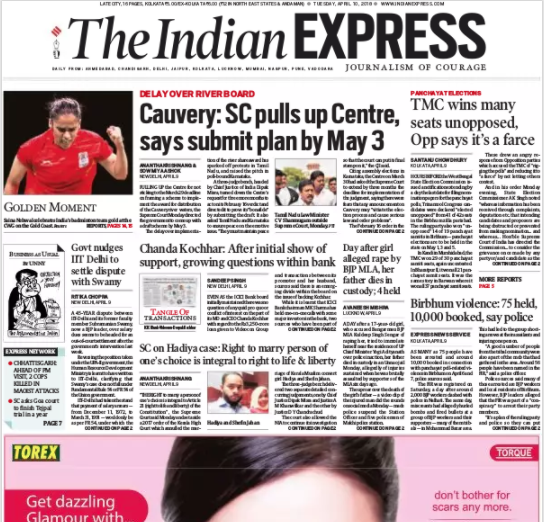 Indian Express provides more details on the poll-related violence, at first glance. They correctly report that TMC has won over 90% of seats ‘unopposed’ in many districts, but fail to inform the reader about the logical conclusion – that this is an obvious case of rigging elections and subverting the democratic process. “Opp says it’s a farce” says their heading, communicating that it is only the Opposition (BJP) which is complaining. See, its the ‘evil BJP’ whipping up passions and attacking police, after spreading ‘allegations’ that they were attacked with bombs and bullets! Now contrast this with how media would have erupted with OUTRAGE if the same scenario had unfolded in Gujarat while Modi was CM – that is, if Congress candidates had been stopped from filing nominations by BJP/RSS workers, and if Congress-supporting tribals had been attacked with bombs? Would media have reported such a hypothetical sequence of events as merely a ‘Congress allegation’ or would they have reported views of NGOs, academics, intellectuals etc to ensure a massive outcry to end the violence? This is how MSM spins news – its a more subtle, well-crafted, insidious version of ‘fake news’.